The word “organic” has many connotations. In today’s health conscious society, many people associate “organic” with produce that is grown without pesticides. If you are in the business of search engine optimization, “organic” has an entirely different connotation. In this arena, “organic” has to do with writing that is on one hand authentic, while at the same time accomplishing a little “name dropping.” This strategic writing has been assisting web site producers increase the likelihood of their websites showing up on the search engine results page, resulting in greater traffic to the site and also higher profits. Well, hang on to your hats because in this quickly evolving business, organic writing is now only one of the strategies needed for optimizing a website. The coming year promises to bring some new challenges to the field of search engine optimization. The good news is some new tools and strategies are in the wings as well. So what’s behind all these changes anyways? For one thing Google is constantly changing the way it presents information to users. The original “10 blue links” is becoming an outdated concept against the more modern presentation methods on the SERP including local packs to site links, image results, knowledge panels and so on. Fortunately there’s tools to help you compete with features that may be stealing traffic. Tools like SEO PowerSuite’s Rank Tracker will help you track Google SERP features along with organic results. This way you can see which Google SERP features are being triggered by your keywords. This nifty program can help you revise your SEO strategy and regain the competitive edge. 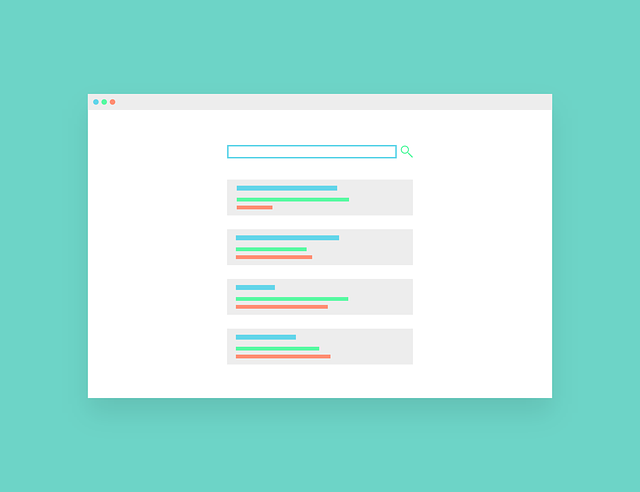 Armed with knowledge, you may find that you can get a featured snippet for a particular query. Or that another SERP feature can work for your web page. Another tool that must be in your SEO toolbox is structured data. Structured data refers to a standardized way of providing information about a page so that the search engine knows how to interpret the page and how to display it on the SERP. There are several structured data formats out there. Among them Yotpo and Schema.org are commonly used and recommended. Using this tool is sure to improve your search listings, helping turn a regular snippet into a rich snippet. Studies show this to improve CTR by as much as 30%! The next thing you’ll want to focus on to optimize your website is speed. There are multiple reasons for this but first and foremost is the rapid shift from the majority of searches being conducted on PCs to the majority of searches being conducted on mobile devices. This means that page speed indicates the viability of your site more than a ranking factor. In fact, that speed would be a ranking factor in its mobile-first index was already announced by Google. Simply put, the success of your website is inextricably tied to its speed. Fortunately, there are some quick and easy ways to speed up your website. Google offers you a hand first by providing its Google’s Page Speed Insight Tool. Check here first to get some help. Next, see what you can do to reduce the size of your page; look into compressing codes and optimizing images to whatever extent possible. Other tools that may be of use include Google’s AMP Project and HTTP2. When we start talking about relevance, the term LSI, or “Latent Semantic Indexing” inevitably gets mentioned. LSI is a math based function whereby a computer determines the relationship between keywords and concepts in an article or on a webpage. LSI can crawl a page an identify keywords and establish relevance, that is to say, it can match the keywords of your article or website to commonly searched related concepts. It probably goes without saying that LSI came in response to people trying to fool search engines by using keywords without actual relevant content. Having good content will not guarantee a great ranking but it will help. What do you need to know to make LSI work for you? Mostly it’s just common sense. Make sure your page title has a connection to the information. For instance if your page title is Learn to Cook, make sure the article is about cooking. By all means use keywords. But don’t overuse them. If you outsource your content, pay for higher quality. Keep an eye on how your pages rank for keywords using Google Webmaster Tools. Voice searches go hand in hand with the growing prevalence of mobile devices. It’s no surprise to find that more and more searches are coming into search engines via mobile devices. This is already affecting how Google ranks websites and presents information to users. In addition, more and more of these searches are coming in via voice searches. This is going to have an interesting affect on search engine optimization. For one thing, queries are being framed in more natural language. People making the queries are giving no thought to keywords. This is not necessarily a negative thing for the field of SEO but it is going to cause some changes and for some of the details of these changes, we may just have to wait and see how things unfold. In the meantime, take a look at tools like Rank Tracker. The free version will allow you to discover Common Questions entered via voice query and you can see which ones are related to your keywords. While we’re on the topic, keep in mind the benefits of optimizing your website for mobile use. According to Google, people are five times less likely to leave a site if it’s mobile friendly. This is the era of mobile devices and more people are searching on mobile phones then on computers. Therefore you have every reason to make sure your website is fast and mobile friendly. A final aspect of how the field of search engine optimization is evolving has to do with personalized SERPs. As technology becomes more and more advanced, the SERPs of individual users will look very different from one another. Google can “know” the habits and interests of individual users and tailor SERPs for what each person is most likely interested in. Some suspect that competition will become fiercer in this type of atmosphere. It will no longer be good enough to be among the top ten. For users to see your site you will have to be number one, THE authority in a field. How will all of this play out? We will have to wait and see.